I had previously posted about how to hear Mahalaya in USA. However, it looks like many of the links in the Blog are not working. So, here are the latest links – Part 1 and Part 2 for listening to Mahalaya. Sanskriti – October 11th and 12th at Foothill College, Los Altos. Prabasi – September 27th – 28th at Chabot College, Hayward. Pashchimi – October 5th – October 9th at Sunnyvale, Temple. Livermore Hindu Temple – October 5th – October 12th at Livermore Hindu Temple. One day while I was returning from work, I took a detour to complete an errand. 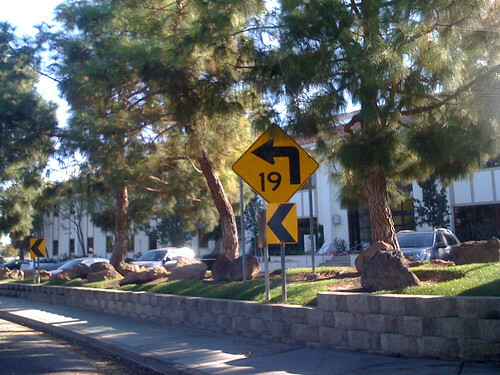 One of the side streets had a very interesting speed sign – 19 miles / hour bend. Why would anyone have 19 mph? – just make it 20 – i still don’t get it. Do you?